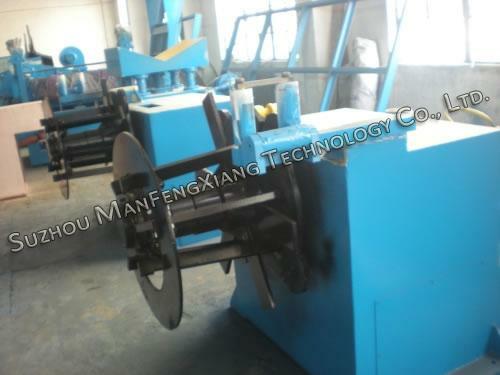 Thick board slitting machine is a member of slitting line used for cutting metal material into different width. 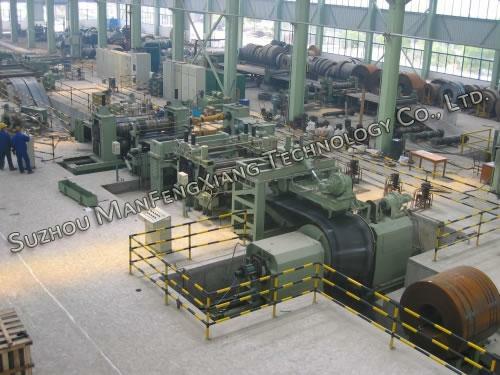 Thick steel coil slitting line is mainly composed of uncoiler, feeder, slitter and recoiler, and it is mainly applied for cutting different types of thick steel materials, such as steel coil, carbon steel, galvanized steel and pre-painted steel plates or sheets (Note: Different profile has different thickness range, but all thickness range should be within 2mm to 12mm.). 1. 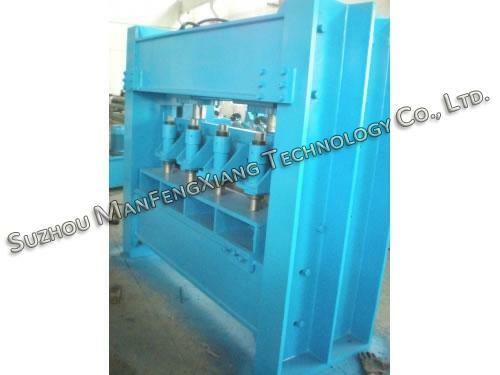 This steel plate slitting machine is suitable for slitting coil sheet or plate with thickness range from 2mm to 12mm. 2. This coil sheet slitter also features high slitting precision, and the slitting width error range is no more than 0.03mm. 3. Slitting speed is adjustable according to production demands. 4. 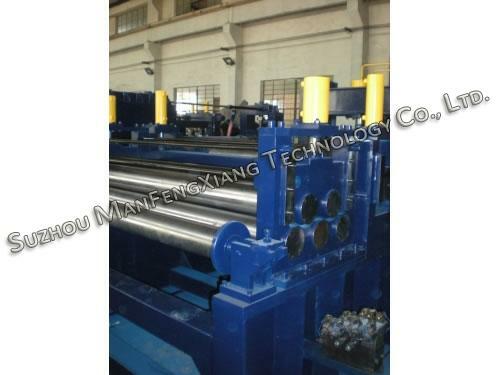 Slitting line for producing different profiles can be customized according to customers’ requirements. SUZHOU MANFENGXIANG TECHNOLOGY CO.,LTD. is engaged in supplying different steel processing equipments, including tube mills, roll forming machines, etc. 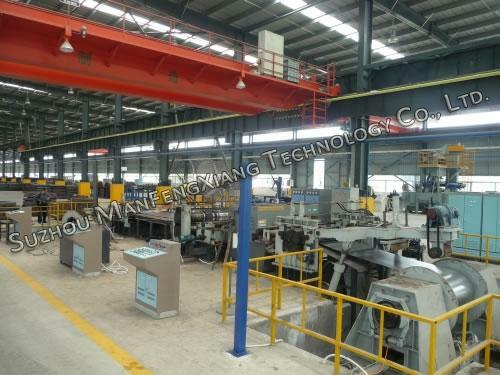 Besides tube mills and roll forming machines, other machines manufactured by us, including uncoiler, stacker, hydraulic guillotine shearing machine, CNC hydraulic press brake, thick steel coil slitting line and other machines also feature high accuracy, easy operation, convenient maintenance and high efficiency. Our tube mills, roll forming machines and other products have been passed CE certification and sold to more than 50 countries and regions, including Russia, France, England, Australia, America, Kazakhstan, Tajikistan, Malaysia, Nigeria, Romania and Albania. Manfengxiang is always ready to provide the best solution for your production requirements.